Chilly cold weather is almost here and with it comes the need for getting your home winter-ready. Keeping your windows and doors maintained can be a great way to avoid the draught from entering your home. Wondering about the ways you can take care of your UPVC doors during this time of the year? Read on. Over the last few years, the popularity of UPVC as a construction material for domestic windows and doors has grown steadily. This is mainly because it involves considerably less maintenance than other materials like aluminium and wood. Unlike some of the other varieties, this material does not even need to be resealed, repainted or treated specially to keep the adverse elements out. And, little maintenance during winters can keep your doors performing at their best. 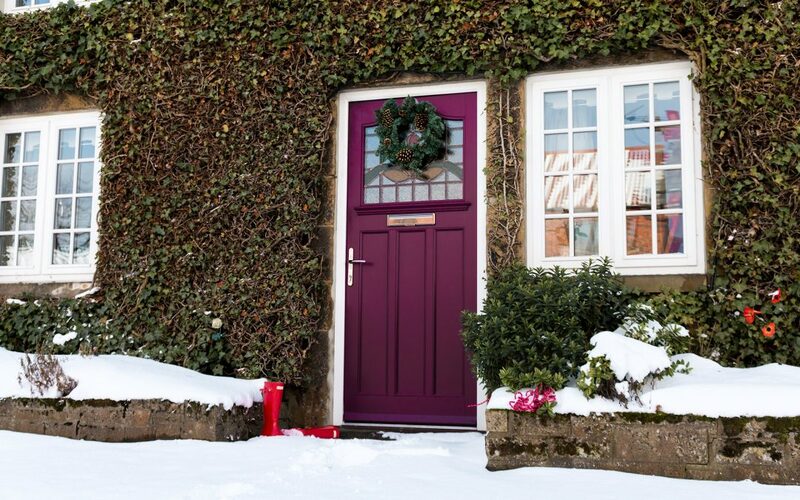 Here’re some tips to help you maintain UPVC doors in winter! When it comes to maintaining UPVC doors in Cardiff during winter, this is a key consideration. Experts recommend homeowners to inspect the hinges and other functioning components on the doors visually two times a year. You need to assess the components and check for friction and squeaks as you move the door. If you find the doors to be too squeaky, add a little metal lubricant to the hinges. This will help the squeak disappear quickly. Another key factor you must keep in mind is to take good care of the locks. This is because; the intricate locking mechanisms on the inside of the door should be lubricated regularly. If the mechanisms grind together or seize up during the winter, adding more lubricants can be a wise decision. You can even give the tightness of your door’s screws a quick inspection. Remember; taking care of the locks can make all the difference in the condition of your door. During the winter, loose leaves, debris and dirt can all end up sticking to your front & back doors, decreasing their aesthetic value. A simple mixture of water and mild soap can be the best cleaning solution for maintaining the outside of your doors. For cleaning the inside of your doors, use a good soap and water solution for gently rubbing away the grime, dirt and fingerprints on the inside surface. Be assured that this will not take too much effort since UPVC doors have user-friendly exteriors. Reputed companies specialise in offering sturdy UPVC doors in Cardiff which are built keeping in mind the adverse weather conditions of the UK. However, it is always wise to do your bit by keeping it away from moisture. Since moisture indicates different changes in temperature both inside and outside, it can actually harm your door. Protecting your door during the winters thus becomes a necessity. So what are you still here for? Follow the above tips and start taking good care of your doors!